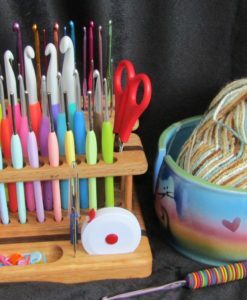 So you have some of the most beautiful and ergonomic crochet hooks available in the market… but where are you storing them when they are not in use? 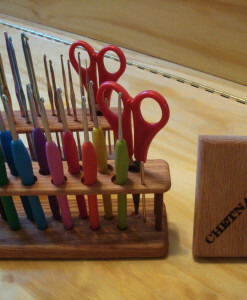 We’ve seen it all when it comes to storing crochet hooks, but we believe that there is no better solution to showing these beautiful and elegant hooks than in a Chetnanigans’ Addi Hook Organizer / Workstation! 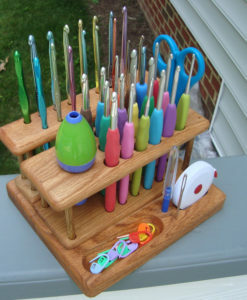 The organizer holds 12 Addi hooks, and is adjusted to just the right height to maximize their beauty when standing in the Organizer. 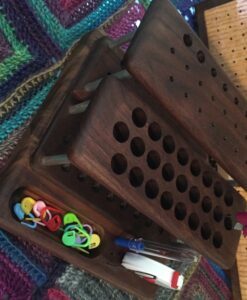 We could not resist adding a little additional character in the design of the organizer, so we’ve inserted a contrasting strip of Red Oak in the middle of the base. 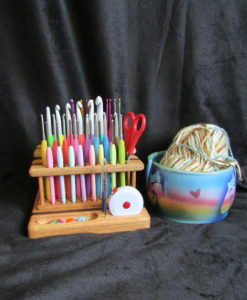 An additional strip on the upper platform is also available if you so choose to purchase! 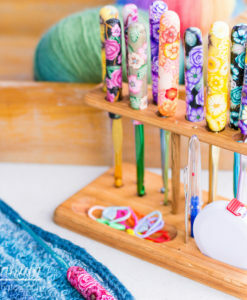 At last, there is a display worthy of showing your hooks in the environment that they were meant to be… Beautiful and efficient! 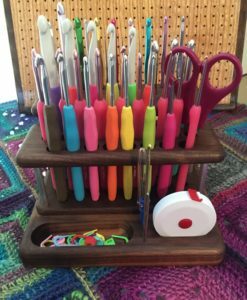 Key Feature: An organizer / workstation specifically designed to highlight the beauty and shape of your ergonomic Addi Crochet Hooks. 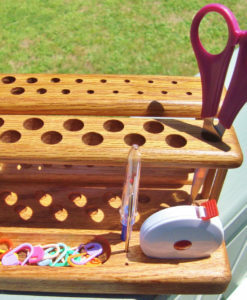 Organizer includes a contrasting strip of Red Oak in the base to enhance cosmetics and character. 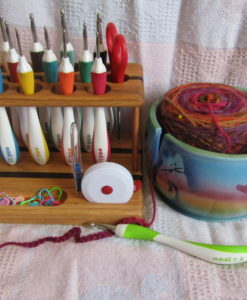 A simple and elegant design that is sure to bring you compliments and praise among those professional fiber artists who understand the benefits of Addi Hooks! 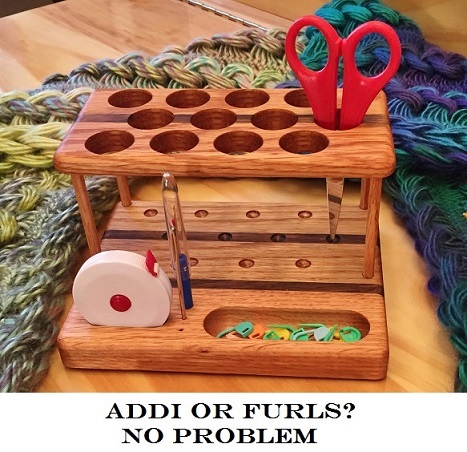 Hello, Addi Hookers!!!! 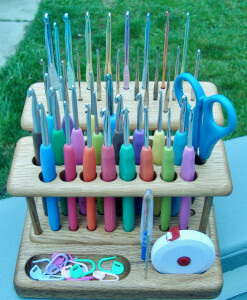 Who would have thought that the effort it takes to find a crochet hook organizer / workstation for your beautiful Addi’s was going to be so hard? 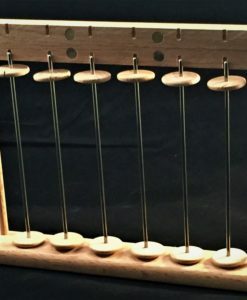 Well, your wait is over! 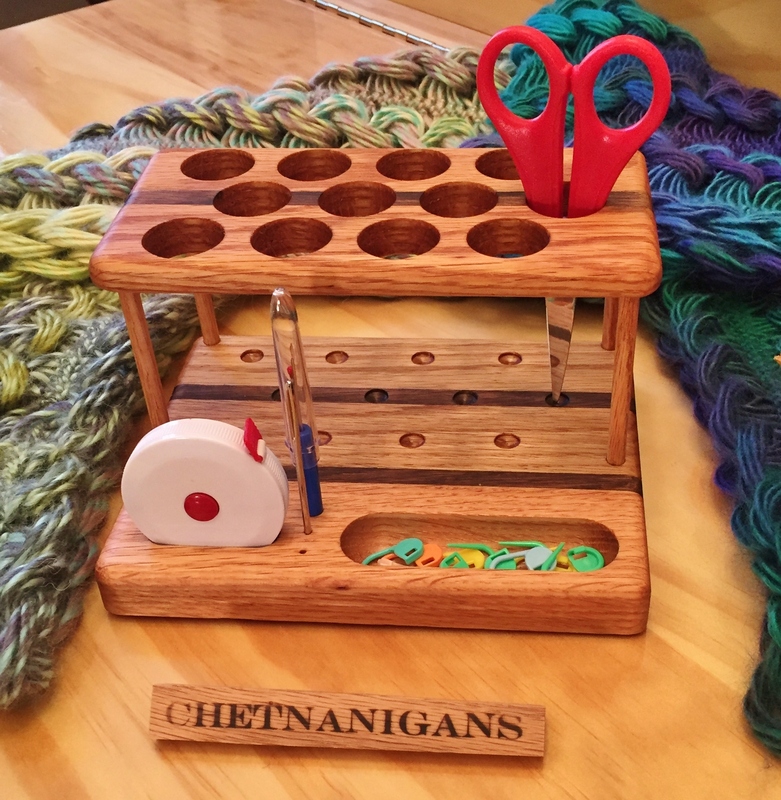 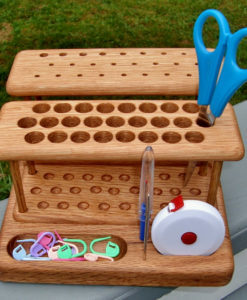 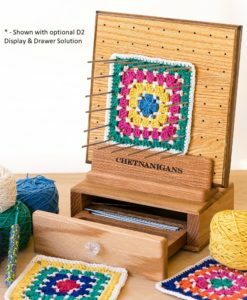 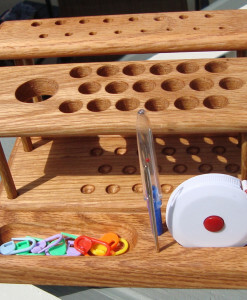 We are thrilled to announce our latest addition to the Chetnanigans selection of elegant, creative crochet solutions…The Addi Hook Organizer / Workstation! 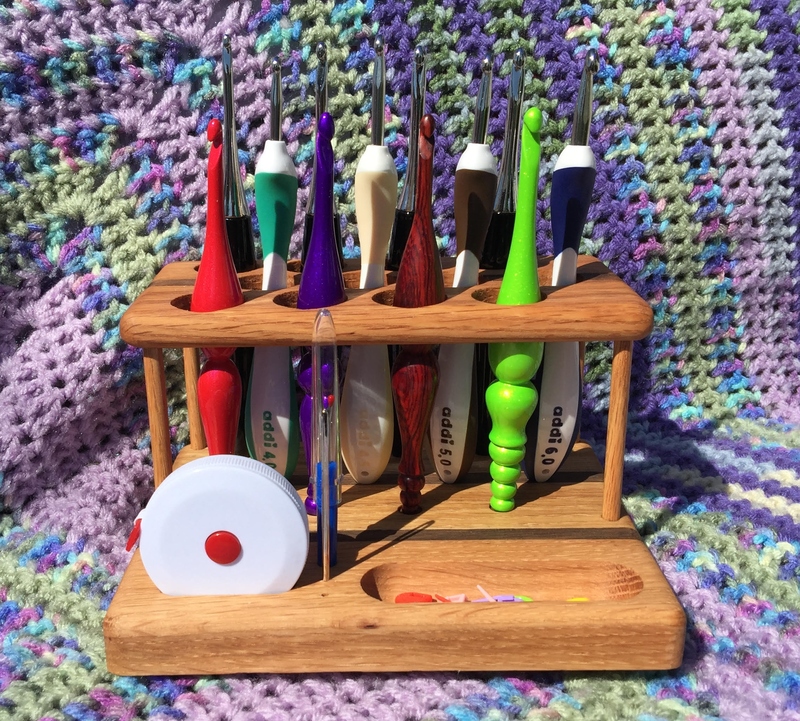 This beautiful new release was built for one of our customers who had already purchased a Standard Crochet Hook Organizer/Workstation for her aluminum hooks and contacted us with a request for an upgraded display for her Addi Hooks. 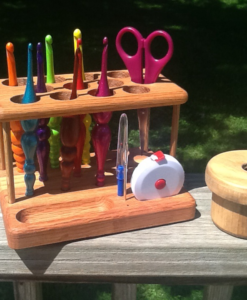 Once we examined the Addi hooks, the decision to build an attractive and elegant organizer was a must! 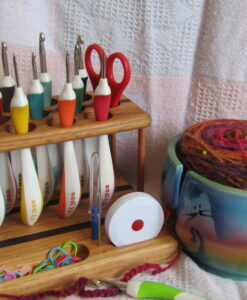 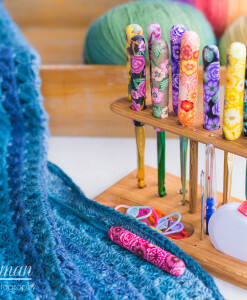 Who wouldn’t want to display such beautiful crochet hooks? 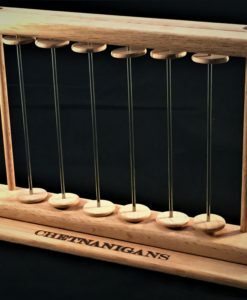 After some conversations, brainstorming, planning, and mutual agreements, the Chetnanigans Addi Hook Organizer / Workstation was designed and built to precise specifications and with the quality that has become our trademark. 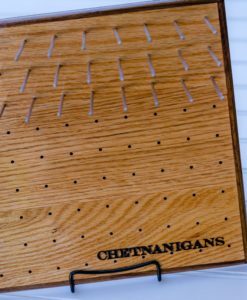 As a bonus / thank you to our customers, the Audi Hook Organizer / Workstation ships with a FREE Chetnanigans Accessory Kit which will eliminate the searching around for all your small, hard to keep track of tools! 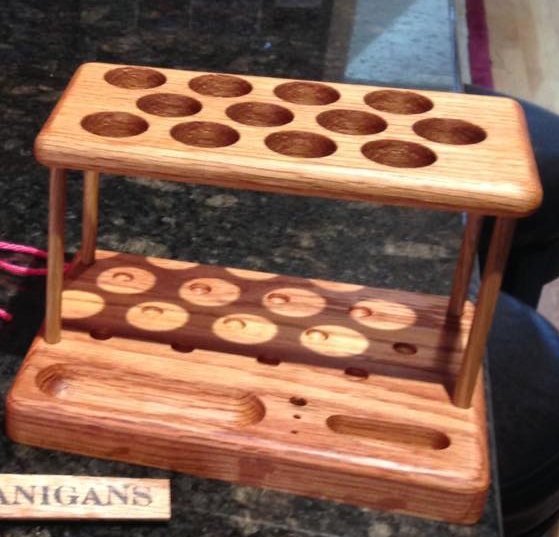 As all of our products are handcrafted, we could not resist adding a strip of contrasting red oak on the base to add additional character and design to an already beautiful product! 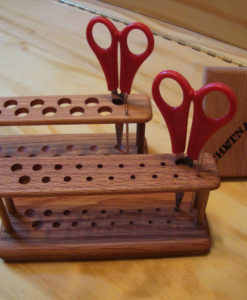 The Addi Hook Organizer / Workstation is crafted in 100% Red Oak with an oil-rubbed finish to enhance the appearance and highlight the wood grain and design. 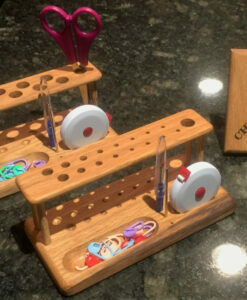 Made, as always, with the finest craftsmanship in our little wood shop in Midlothian, Virginia!